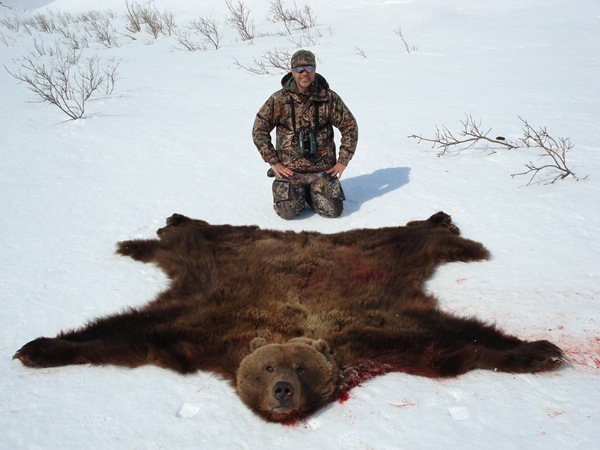 Just had a client cancel their Brown Bear hunt and forfeit the deposit. 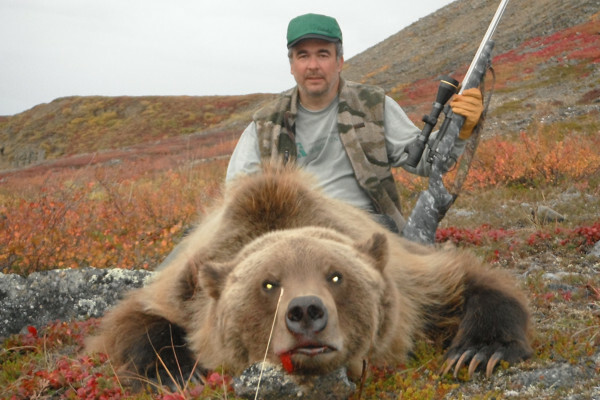 The area is out of Port Alsworth, Alaska and this is a 2×1 Fall Brown Bear hunt. This is a predator control area and the state is trying to reduce Bear numbers in the area. During the 10 day hunt you are allowed to take 2 Brown Bears and 5 Black Bears, no additional trophy fees for taking extra bears. 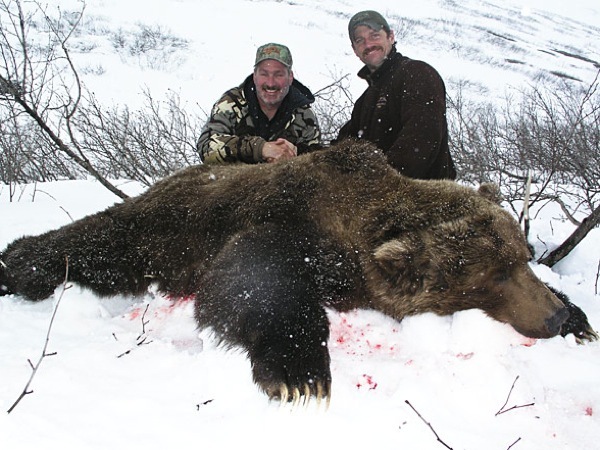 Hunters will need to fly into Anchorage then charter to camp, charter is $1,500 PP. The camp is a tented camp with cots and fresh food. Hunters should be in reasonably good shape for the trip. Dates for the hunt are August 20-30 in 2016, these dates coincide with the salmon run and berry season. 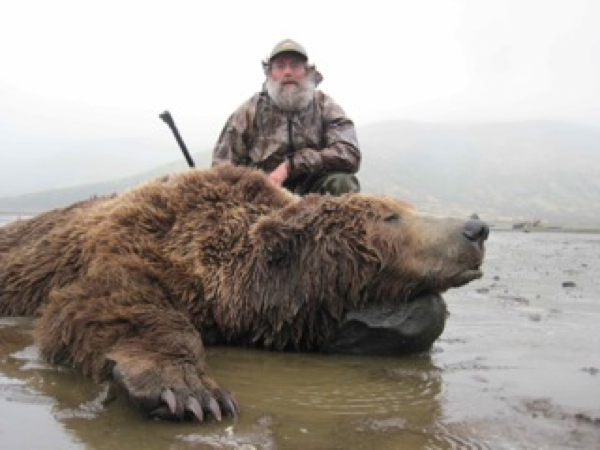 The 10 day hunt with all Bears included is $12,500 reduced to $10,500 PP plus charter $1,500, license and tags. 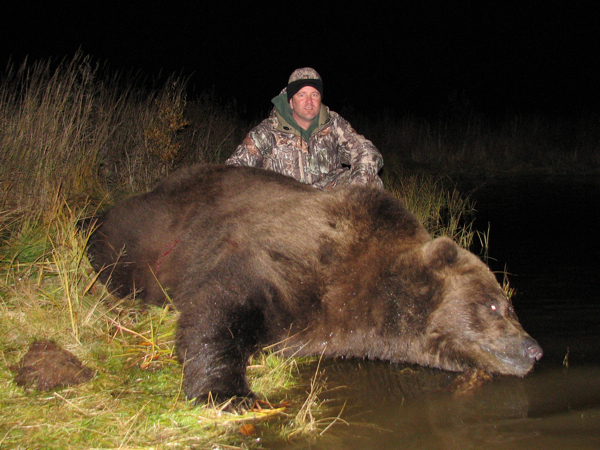 Please contact me for more details on this cancellation Brown Bear hunt. 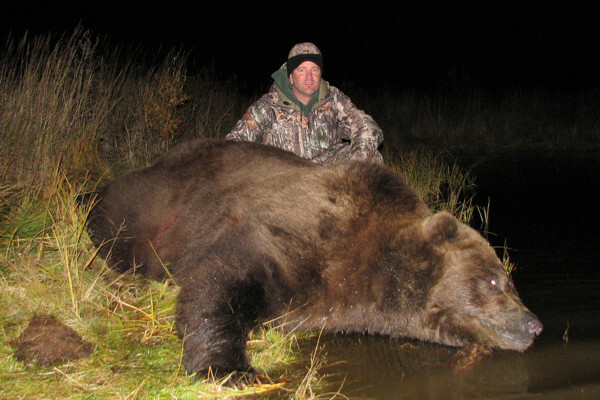 One of my outfitters in Alaska has a special offer in his area out of Port Alsworth for a 2×1 Fall Brown Bear hunt. This is a predator control area and the state is trying to reduce bear numbers in the area. During the 10 day hunt you are allowed to take 2 brown Bears and 5 black Bears, no additional trophy fees for taking extra bears. 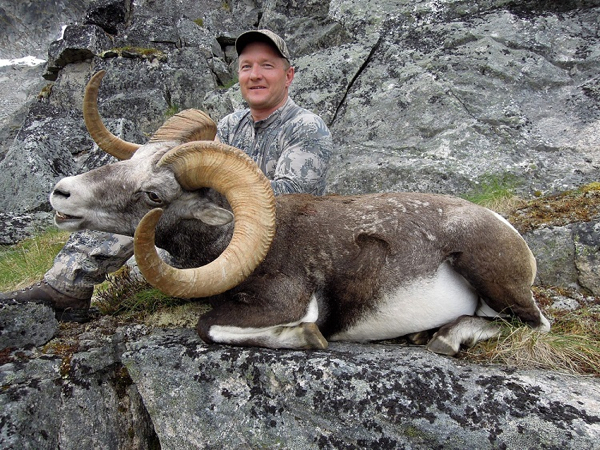 Hunters will need to fly into Anchorage then charter to camp, charter is $1,500. The camp is a tented camp with cots and fresh food. Hunters should be in reasonably good shape for the trip. Dates for the hunt are August 20-30 both in 2016 and 2017, these dates coincide with the salmon run and berry season. 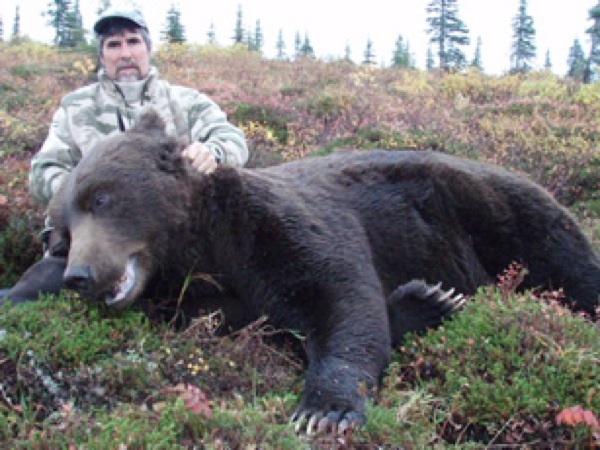 The 10 day hunt with all Bears included is $12,500 plus charter $1,500, license and tags. I have room for 2 this year (2016) and 2 next year (2017) as well as one spot for a 1×1 hunt in 2017 for $18,500. 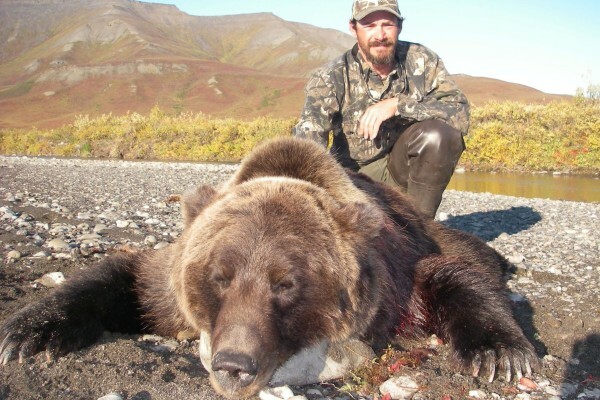 Please email me for more details on this Alaska Brown Bear Hunt. 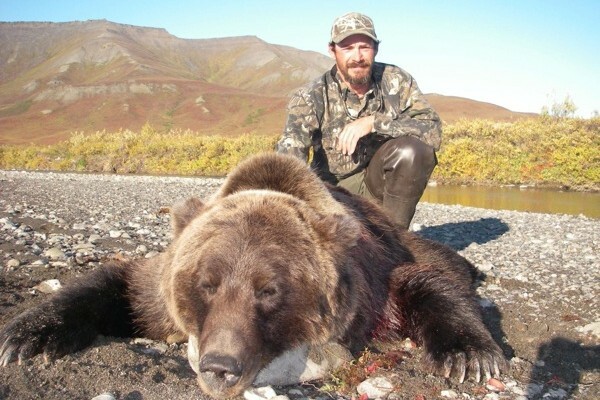 My hunting outfitter in Alaska has two spots open for Brown Bear left this year. 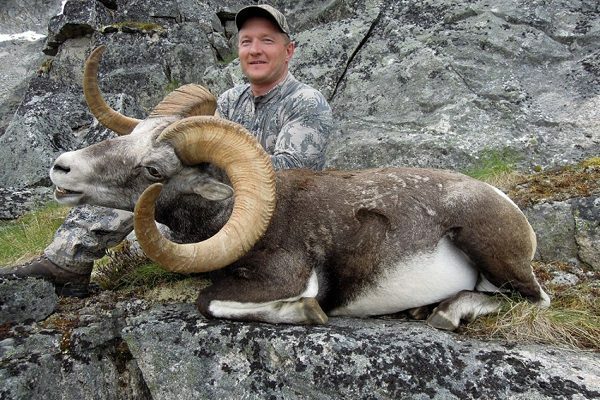 10 day hunt includes trophy fee and charter to camp. Hunt dates are Sept 15-25, fly into and out of King Salmon AK. The hunt is $14,750, that includes the charter flight to camp. Hunting license $85, Bear tag $500. There is a good near population in the area and typical Brown Bears are 8-8.5 foot. 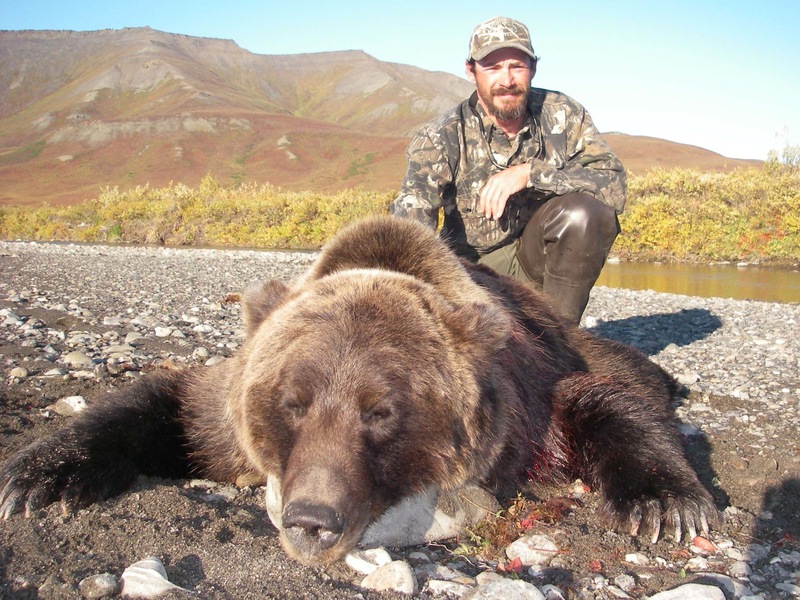 One of my Alaska hunting outfitter has two Brown Bear hunts available on the Alaskan peninsula. 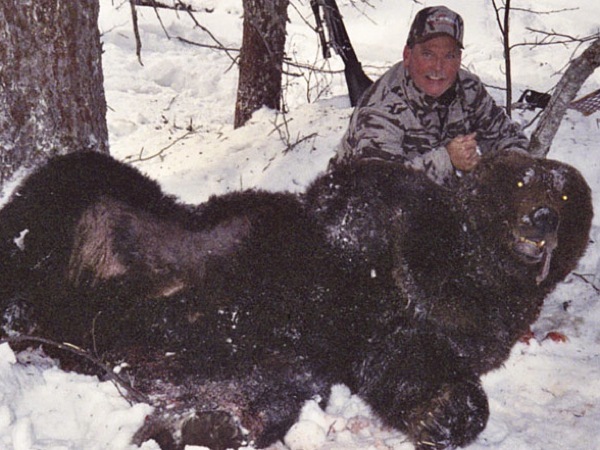 These hunts are $14,000 each and are 10 days long, Brown Bears in this area averge 8-8.5 foot. 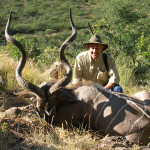 The hunt is fully guided and includes meals, lodging, guides, trophy prep and any flying once the client is in camp. Additional cost would be charter to camp $750 from king salmon, license and tag. Dates for this year are Sept 15-25, 2015. 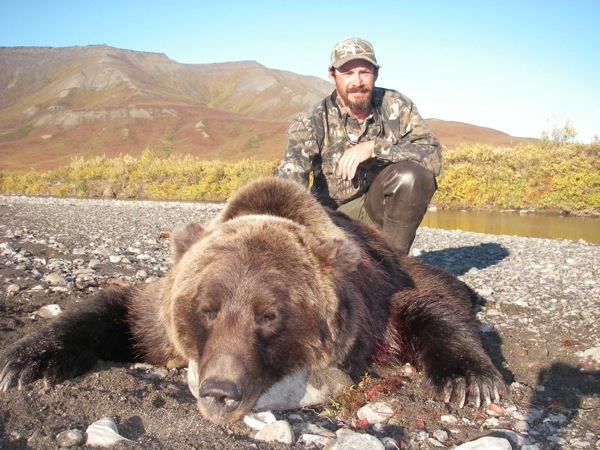 Here is a great deal on a Discounted Alaskan Arctic Grizzly hunt North Slope. It is with a very reputable outfitter whom I have worked with for over 20 years and have had great success. You will be met by the outfitter in Anaktuvuk Pass, Alaska and taken on a short charter flight to the camp where you will meet your guide. 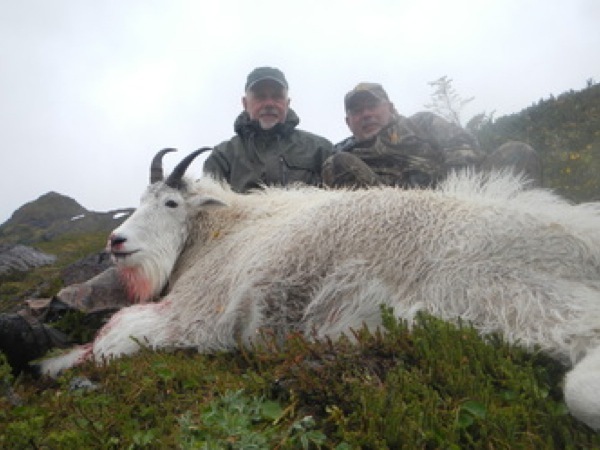 $6000 USD deposit required with final balance due 60 days prior to the hunt. Please let me know if anyone may be interested. I can put anyone that is serious in direct contact with the outfitter as well. 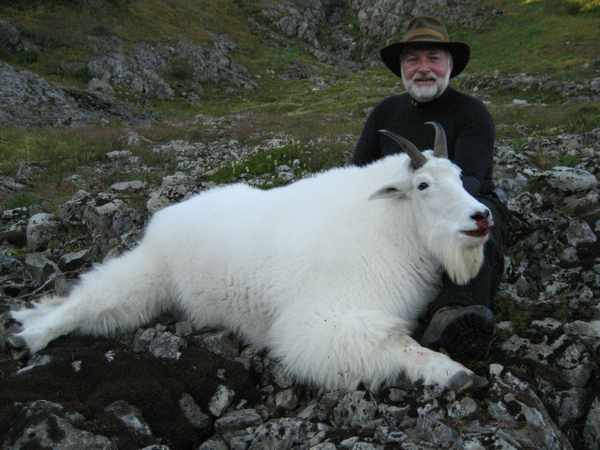 One of my outfitters just let me know that he has one opening left got his 2015 yacht based Alaska Mountain Goat. 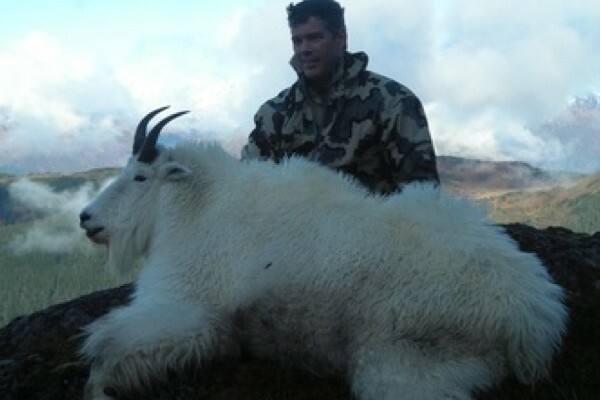 Goat hunting is never easy but this as easy as it will get. Based from their 50 foot yacht, with hot showers beds and home cooked meals it does not get any better. Based from the boat you will head out each day glassing the hillsides from the waterways. once a big billy is spotted the rest is on foot. 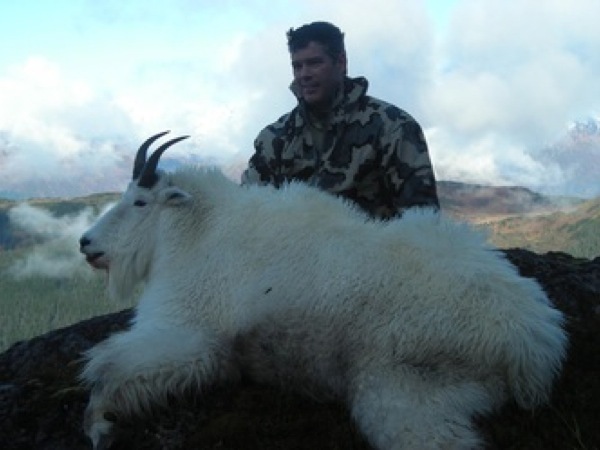 While Goat hunting is never easy this is probably as easy as you will get. I do recommend hunters be in decent shape and you should not have a problem. Average goats are 9.5″ with some great hair. Hunt dates are Sept 30 to Oct 06, cost is $11,500 plus license and tag. 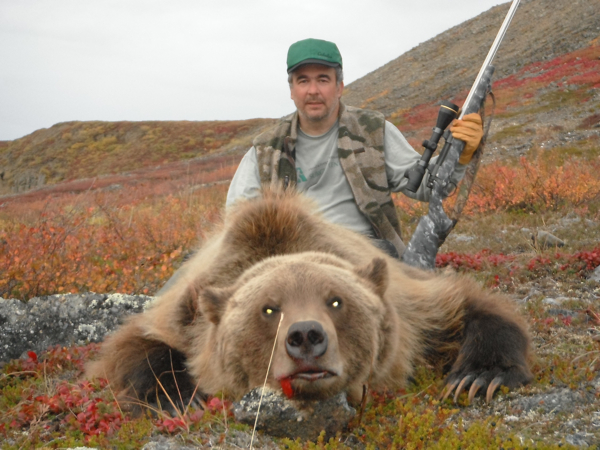 Another of my Alaskan outfitters has a Brown Bear cancellation hunt. 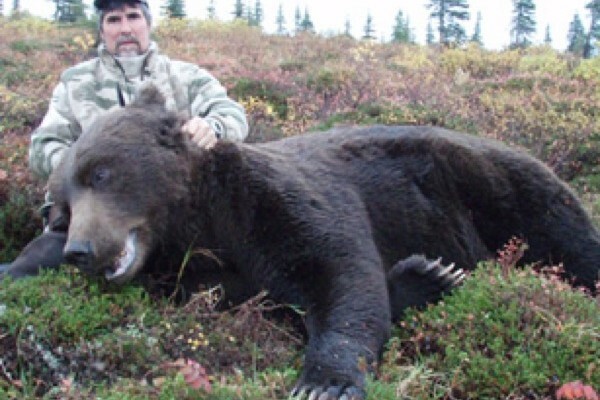 This hunt is in 17b and allows for 2 Brown Bears to be taken in the area as well as 2 Black Bears and Wolves. TROPHY FEES ARE INCLUDED. There are no trophy fees and the hunter would need to arrive in Port Alsworth on the 18th of August and Depart on August 30th. This hunt was purchased by a hunter who is leaving $4000.00 on the table for someone to take advantage of. License and tags along with travel from Anchorage to my base camp and return is not included. ($1800.00 RT includes 1 night stay in Port Alsworth). 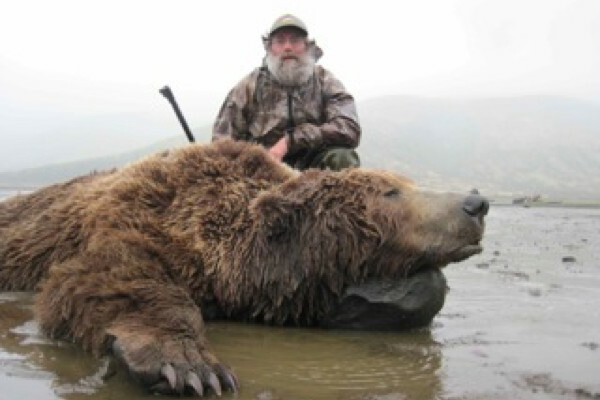 One of our hunting outfitters just called me with a Brown Bear hunt cancellation. 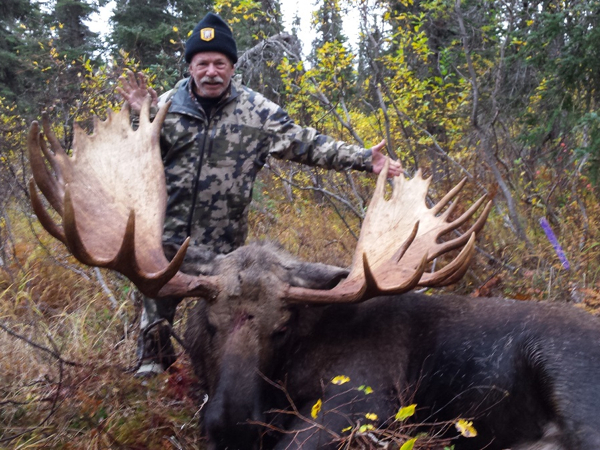 He has been outfitting in Alaska since 1968 and he runs only a few hunters each year. The area is along the Nushagak River 17B, this is a predator control area and is a 2 Brown Bear area. Open dates are Aug. 19 – 30, and Aug. 30 – Sept. 10, 2014. The 1×1 10 day hunt is discounted from $15,000 to $11,500. 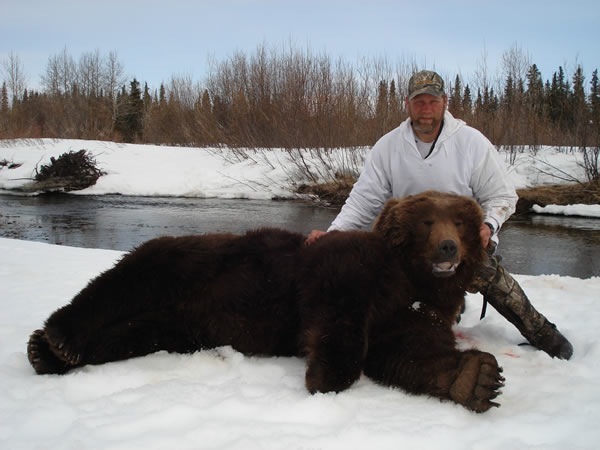 It includes guiding lodging and one brown Bear, typical Bears square 8.5-9.5 ft. A second Bear may be taken for $3,500. Wolf and Black Bear bay be taken at n/c as long as you purchaser the license. Accommodations are typical spike camp and the hunt is on foot, spot and stalk. Additional charges are airfare to anchorage and charter flights to camp $1,450 R/T. plus license $85 and tag $500 per Bear. Outfitter sells license and tags in camp. This will sell fast if you are interested please let me know ASAP.